After months of being told summer is just around the corner, it finally arrived and there was no messing around. This week temperatures have regularly surpassed 40 degrees and that’s just in the shade! The doors, windows and blinds are closed at home, the air con and ceiling fans has been switched on and time outside is now limited to walking to and from work and occasional evening visits to the shop. 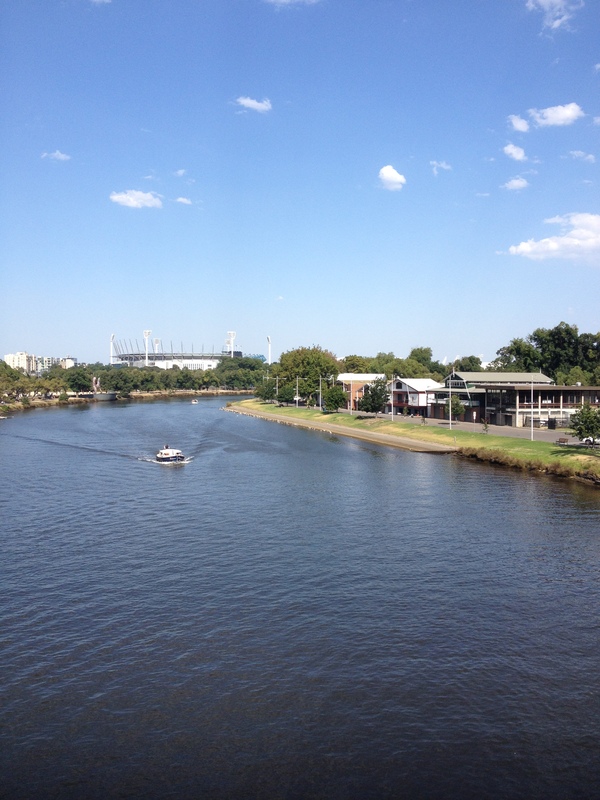 Tuesday marked the hottest day I’d ever enjoyed, until today. I was outside for about twenty minutes as I walked home from work and I figure I must have lost about 50% of my body weight in sweat and have almost definitely ruined a shirt. So, with all this in mind, it seemed appropriate to go and spend an evening out of the house, in the heat watching some tennis! 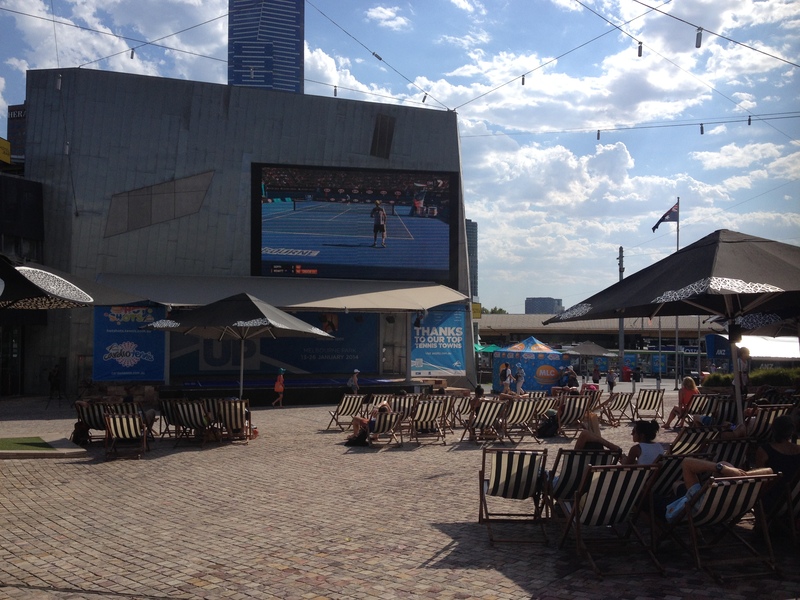 The Australian Open is happening in Melbourne park. I’d like to say right now, but due to the temperature the Extreme Heat rule is in play and the outside courts are likely to be empty for at least another hour. 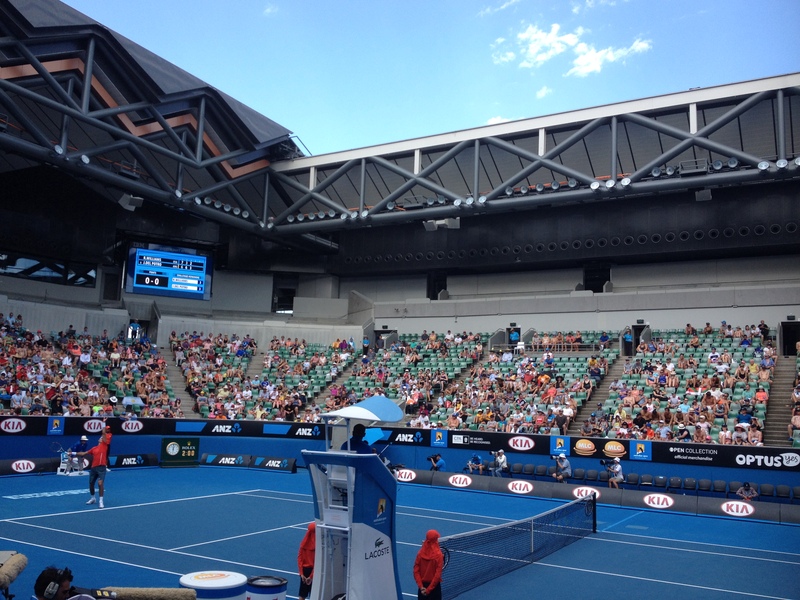 The roof is closed on the Rod Laver and the Hisense arenas where play can continue. You’ll understand why then I say that the heat is most definitely on. Back to Tuesday! Most people I know work during the day, so those of us who were keen booked tickets for general admission to the park for a little over $30. These tickets would give us roaming access to the outside courts, including the Margaret Court Arena where we would spend most of the evening. We managed to get seats part way through the second set of Juan Martin Del Potro, 5th seed from Argentina, playing against Rhyne Williams, 130th seed from the USA. 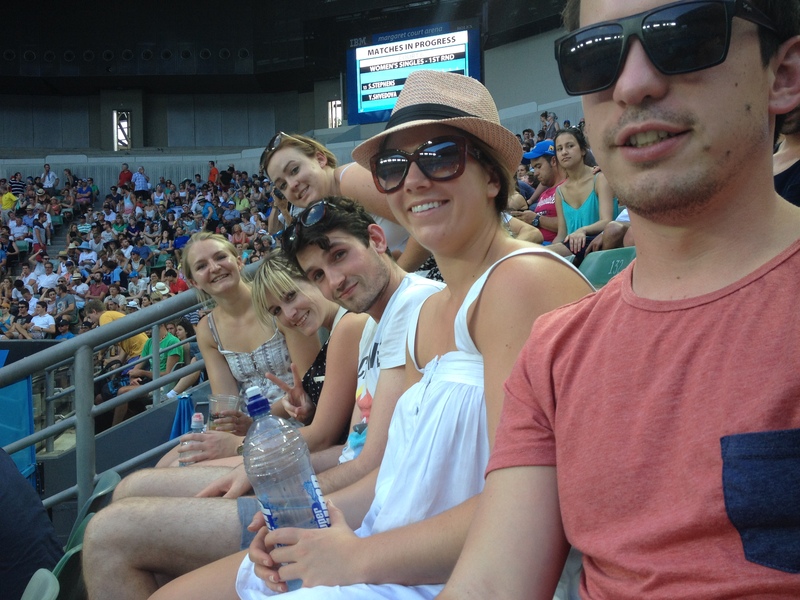 What followed was an impressive display of professional tennis, which I guess was nothing less than expected seeing as how we’d paid to come and see some professional tennis. It seemed like it was going to be a close game with Williams regularly showing great athleticism to hit some incredible returns. 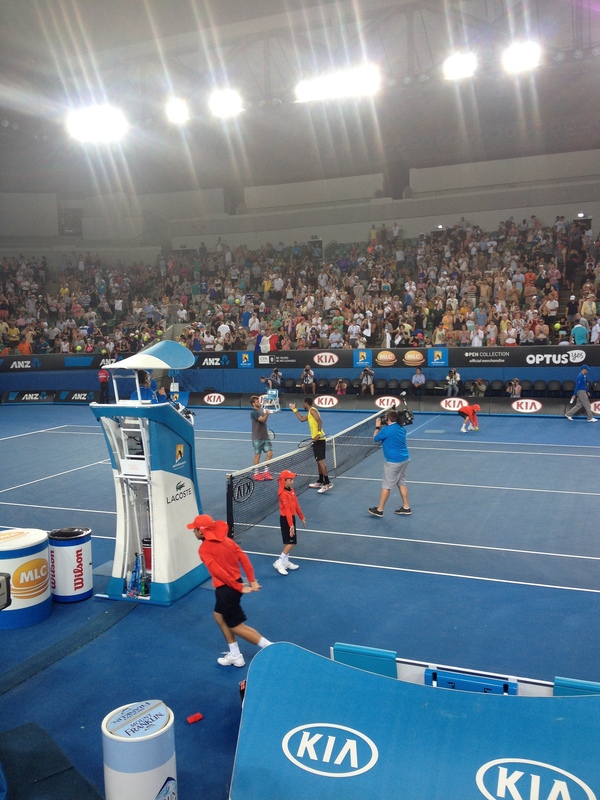 In the end, Del Potro was able to benefit from too many unforced errors to win the match despite going a set down. As the game came to an end, there was hesitation as to what we should do next. 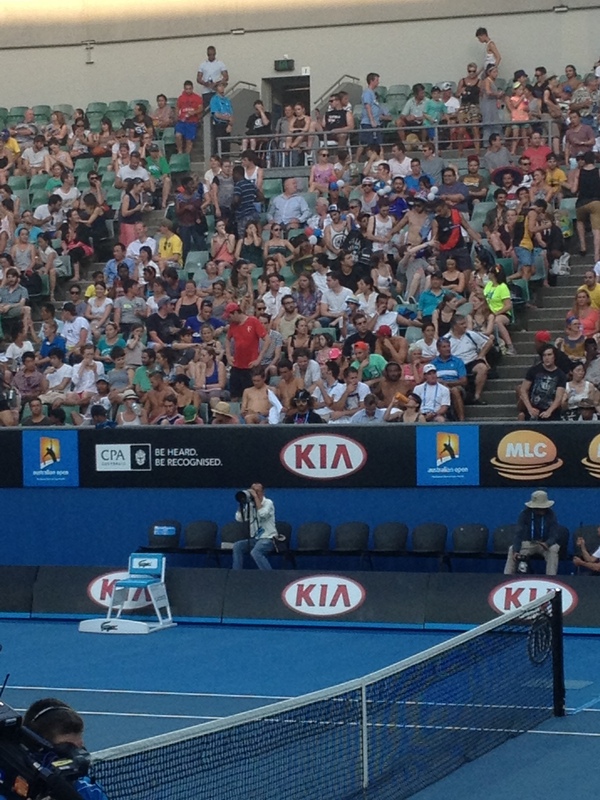 On hearing the revelation that the next US player to feature on the Margaret Court Arena, Ryan Harrison, was known for a bit of a temper, we decided to stick around just in case we were able to witness him losing it with the umpire. 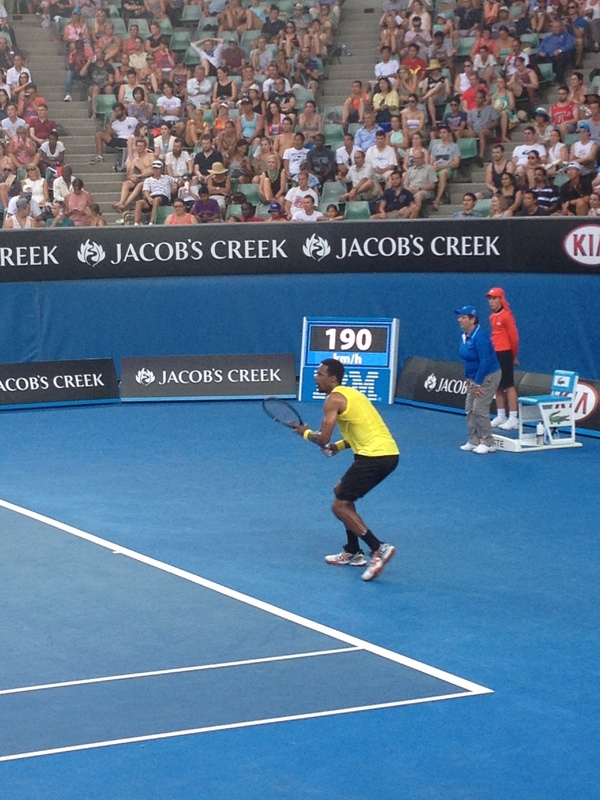 His opponent was Gael Monfils, the 25th seed from France. At this stage, the temperature was still lingering around the 40 mark and I’m fairly certain all of us had made comments about the sweaty aroma that washed over you as you entered the arena. As the players came out, questions were raised about the choice of uniform. Monfils in a bright yellow vest and the jury is still out on whether Harrison had just got out of bed still wearing his pajamas, or had just arrived from the beach in his board shorts. He was also supporting some bright pink runners. One thing was absolutely clear; this isn’t Wimbledon. 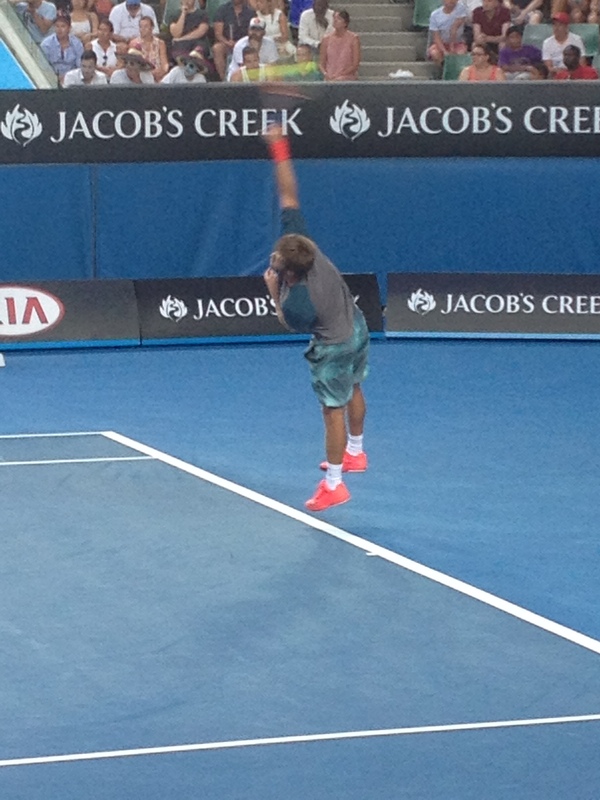 Harrison started off in emphatic form, smashing some incredible serves that Monfils could do nothing about. I think the highest speed was well over 210km/h which, and I think you’ll agree, is quite some speed! Some celebrity spotting took place as Matt caught sight of Redfoo of LMFAO “fame”. You may or may not be familiar with their hit; Party Rock Anthem. We assumed he was there to support fellow countryman Harrison. As the game drew on, both players were subject to some distraction. At constant, irregular intervals, what sounded like a dentists drill could be heard which was particularly problematic during service. We thought this might have been enough for Harrison to get cranky, but he managed to keep his cool. A mother who had, for some reason, decided to bring her baby along had to leave as her child began to wail like a cat as Monfils went to take a serve. 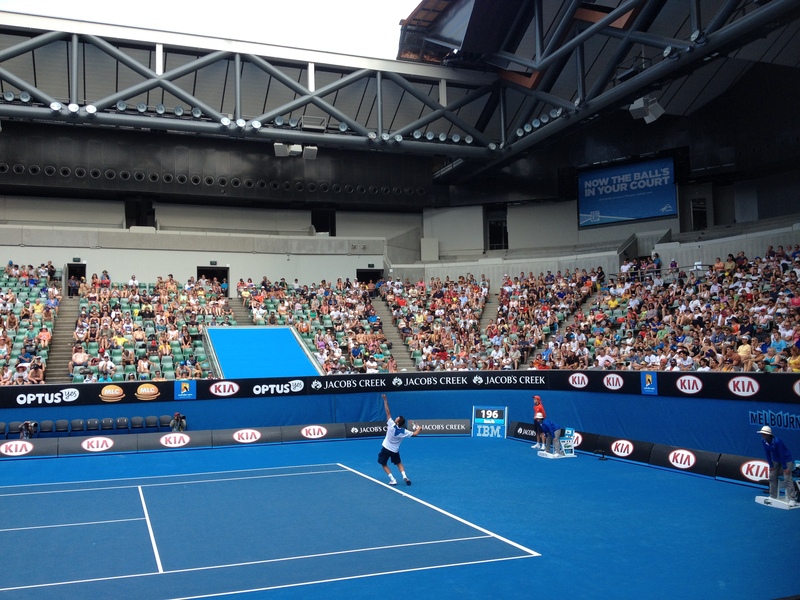 Monfils turned out to be too much for Harrison in the end, who took the match in straight sets winning each 6-4. Harrison managed to keep his attitude in check, only once asking the umpire if she was sure on a call. Our intention was to then find one of the many big screens scattered around the park to watch Rafael Nadal, but even before we’d made it his opponent had retired and the game was over and we all decided it would be time for us to follow suit.